As its release inches closer and closer, many were beginning to wonder if we were ever going to see anything more… final, from the upcoming Guy Ritchie-directed adaptation of Aladdin. Now, we have our first good look at the film, including many of its iconic songs. After the mixed response of the previous footage, this is a massive step-up in terms of quality and design. Aladdin hits theaters on May 24th. After news broke that Will Smith may not be returning to the role of Deadshot in James Gunn’s The Suicide Squad, many of us were wondering what the future of the character would hold. Now, The Hollywood Reporter has learned that Idris Elba will be stepping in for the role, as he was the studio’s one and only choice to replace Smith. The split was amicable, as Smith’s busy schedule just wouldn’t allow for the film. Now, in its place, Warner Bros. has selected one of the hottest actors in the world, with Elba next being seen opposite Dwayne Johnson and Jason Statham in Hobbs & Shaw. He joins Margot Robbie as Harley Quinn when The Suicide Squad releases on August 6th, 2021. Disney has released a special look at the upcoming live-action adaptation of their animated classic, Aladdin, giving us our first look at Will Smith’s giant blue Genie in action for the first time. While the CG is still a little rough, it’s clear there’s much more work to be done. It looks like Disney’s Aladdin is going to be cutting it close come release day when all is said and done. Aladdin hits theaters on May 24th. You can hit the jump to check out the first official photos from the film, and see it when Aladdin hits theaters on May 24th, 2019. UPDATE: Additional images have been released! Check them out after the jump. We have now learned, thanks to Brazil Comic-Con taking place this weekend, that the upcoming Men in Black “requel” releasing next summer is officially titled Men in Black International. The movie will see Chris Hemsworth and Tessa Thompson’s Agents H and M travel the globe to deal with all manner of extraterrestrial threats. Will Smith and Tommy Lee Jones are not expected to reprise the roles that helped make the franchise famous in the first three films. Also starring Emma Thompson, Rebecca Ferguson, Kumail Najiani, and Rafe Spall, Men in Black International is set to hit theaters on June 14th, 2019. Netflix has debuted the latest red-band trailer for the upcoming Fantasy Cop Drama film, Bright, by director David Ayer, and starring Will Smith and Joel Edgerton. The film is set to premiere on Netflix on December 22nd, marking the streaming service’s first legitimate attempt at threatening the Holiday box office. The newest trailer looks fantastic, and Netflix has clearly put a lot of care and effort into making a beautiful film. Let’s hope it can live up to that hype. Deadline is reporting that Sony Pictures is developing a Men in Black spinoff based on a script by Matt Holloway and Art Marcum (Iron Man, Transformers: The Last Knight). The article states that the story of the new film will focus more on the Men in Black organization as a whole, on its global scale, rather than just a single branch in New York. Will Smith and Tommy Lee Jones will not be reprising their starring roles, though cameos are not off the table. The new film will instead focus on a new team of MIB, and is being fast-tracked for a May 2019 release. Warner Bros. has announced that, after a long and grueling search for David Ayer’s replacement, a director for Suicide Squad 2 has been found. Gavin O’Connor (The Accountant, Warrior) has been tapped to write and direct the film, with its entire cast returning. This is actually a pretty great choice. O’Connor is a safe director, with a good eye for action and emotion. His Suicide Squad will be much more well-rounded than its predecessor was, and should genuinely be an overall much better film. We’ll just have to see it all ends up. 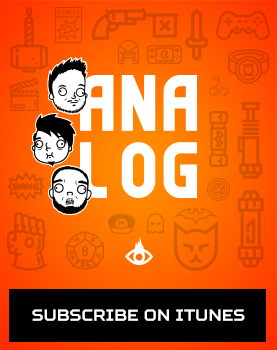 It’s the season finale of Analog! Josh, Theo, and Bovi are back to cover Comic-Con! Covering the latest news and views on the coolest pop culture has to offer! The most kickass news to come out of San Diego Comic-Con! Trailers, news, rumors, and more about the coolest upcoming movies and TV shows! Check out the links below to listen, and please Rate & Review us on iTunes! Netflix has released the first full trailer for their entry-level blockbuster, Bright. Starring Will Smith and Joel Edgerton, the film takes place in an alternate-world where fairies, orcs, and elves live among humans in a modern, familiar society. 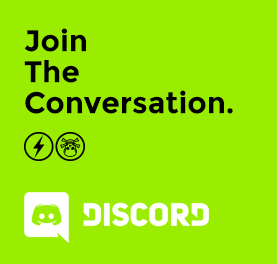 Smith plays a beat cop, partnered with an orc for the first time, and while on a routine patrol unearth a magical weapon capable of changing the course of history. Directed by David Ayer (Suicide Squad, End of Watch), Bright hits Netflix worldwide on December 22nd. Josh, Theo, and Bovi return to the Jungle, baby! Ha ha! Covering the latest news and views on the coolest pop culture has to offer! Jumanji: Welcome to the Jungle, Death Note, Inhumans, and more! Plus, an actual new contest for you musically inclined listeners! Check out the links below to listen, and please Rate & Review us on iTunes!